It looks like there's finally been a new development in the Oracle vs. Google fight. For those who may be out of the loop, Oracle (who owns Sun and the Java programming language) have had patent infringement and copyright lawsuits boiling against Google for quite some time now. 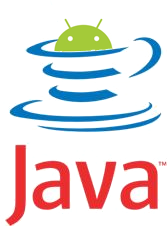 The patent claims are essentially related to Google's use of Java in the Android platform. 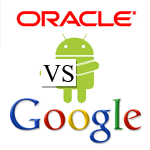 Oracle claims that Android includes code which violates patents gained through the acquisition of Sun Microsystems. The billion-dollar trial was set to begin on October 31st, but District Court Judge William Alsup has decided to postpone the proceedings. Interestingly, no date has yet been given for a potential reschedule. Evidently, Judge Alsup had hinted that the date may be moved so that he could hear a murder trial, and has now told lawyers that the Google/Oracle case may be moved to a different judge altogether. He has suggested Google and Oracle bring the case to a magistrate judge, or, alternatively, he will bring in another federal judge (something to which Google nor Oracle could object). While the case is currently in a holding pattern, there is a possibility that the copyright and patent claims will be heard separately, which may (read probably won't) lead to a general settlement before the patent infringements are heard. At any rate, it would seem that things are beginning to get interesting again in the Google v Oracle battle, and you can bet we'll be here to report on any new details. Note from David: Trial postponements are a common occurrence in California federal district courts - judges face a massive case backlog and have for the past decade. Judge Alsup has discretionary authority to decide that one case is more deserving of his attention at the expense of another, in this case a murder trial - though that doesn't mean Oracle will lose its day in court. An order will be issued with new trial dates, or if both parties consent, Alsup can transfer the case to the magistrate judge who has presided over many of the case's discovery hearings, Donna Ryu. Magistrate judges are appointed by the court, and with the consent of their supervising district judge and both of the parties in suit can preside over civil cases with the same binding authority as the district judge. Alsup can also transfer the case to another district court judge if he feels the delay will be unduly harmful to Oracle. [Weekend Poll] What Ice Cream Sandwich Feature/Improvement Are You Most Excited About?